The Next Bartender Robot . . . . .
REYKA vodka Global Brand Ambassador Joe Petch has unveiled his latest bartender robot; a charmingly unconventional and resourceful invention – the Reyka Chainsaw Shaker. “After lots of integral research & testing we have worked out that we can perfectly shake 10 x Reyka Ramos Fizz cocktails in around 25 seconds after prepping them. Joe has also created a series of inventions including the Reyka Martini Dispenser and Hot Toddy Machine. 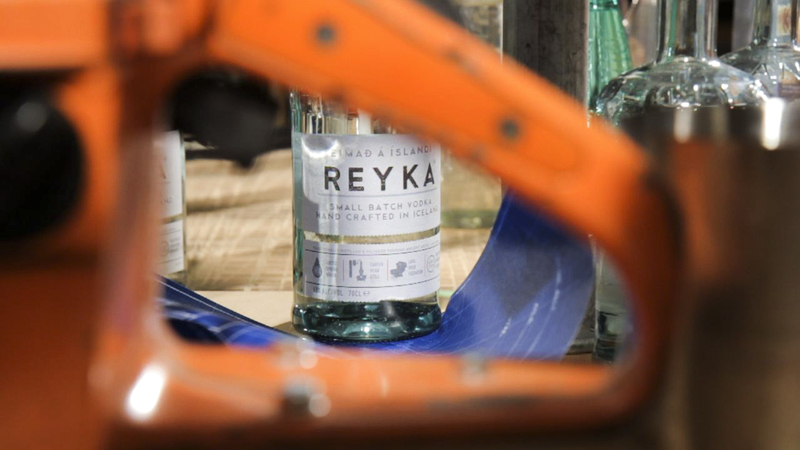 Reyka, Iceland’s first vodka is born of volcanoes and glaciers and handcrafted in preciously small batches by inventive people with creative minds. Born from a country separated from the world and surrounded by magnificent natural resources it is filtered through lava rock and born of towering waterfalls of arctic spring water and some of the cleanest air in the world. It boasts a smooth-taste, silky finish and distinctive flavour, which makes it a perfectly versatile spirit for cocktails.